You are here: Home » National Snack Food Month: Which is your Favorite? National Snack Food Month: Which is your Favorite? Along with Valentine’s Day, Black History Month, Heart Health Month, and so many others, February is also home to National Snack Food Month! Back in 1989, the Snack Food Association (SFA) and the National Potato Promotion Board (NPPB) began National Snack Food Month in order to increase consumption of food products such as potato chips. Typically, February is a very low month for snack food consumption, and the companies decided they needed some sort of initiative to get people eating snacks again. 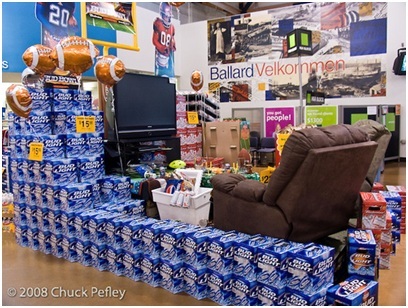 The promotion “kicks off” on Super Bowl Sunday, and publicity is gained throughout the month. One way this event is celebrated is what is known as “Routing for Dollars”, in which sales personnel from SFA member companies as well as retail partners compete to see who has the best snack food displays. 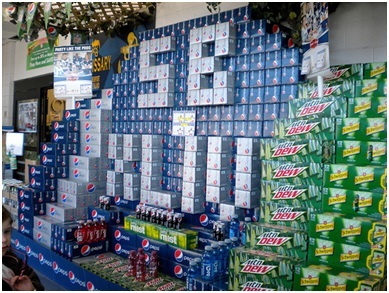 You’ve probably noticed without realizing that this is all part of a month-long event to promote snack food sales. 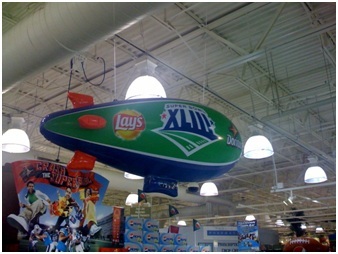 Have you been to the grocery store around Super Bowl time and seen something like this? Are you a snack food softie? What’s your favorite snack to eat on a long, February day? Leave us a comment below!